The flats were opened by Princess Margaret in 1969. The estate featured a district heating scheme with a chimney attached to the side of the tower block. 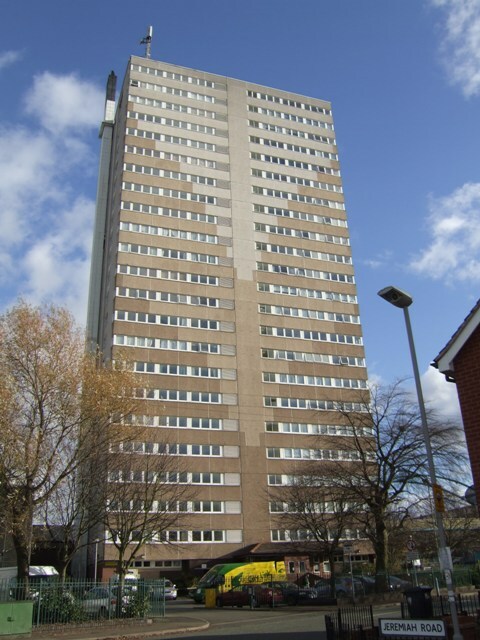 It is similar to Phoenix Rise at Blakenhall which is currently being demolished. This page has been viewed about 608 times.